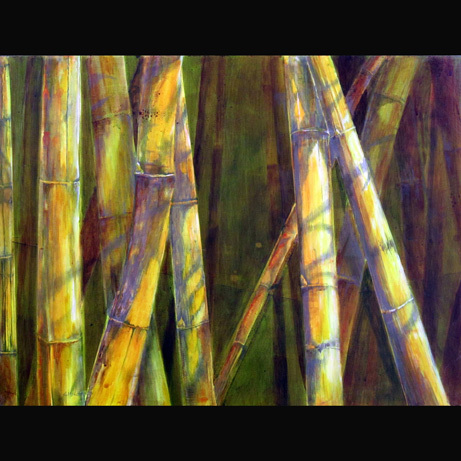 Brand new to ArtWorks of Eau Gallie this year will be artist Cindy Michaud. She is exhibiting her mixed media work in booth #130 (located in front of the Fifth Avenue Art Gallery) and looks forward to seeing you there. "It's really scary," she remarked, discussing her preparations for the street festival. "On one hand you need to have a body of quality work framed and ready to share and sell. On the other hand, you have to have the physical where-withall to build and transport a weather-proof mini-store from your studio to the street. Add to that ArtWorks asks that artists demo their techniques throughout the weekend!" Cindy's work is predominately graphite with acrylic and oil, however a bit of collage and some unusual supports also make an appearance. "I have great respect for festival artists," she concludes. "I'm getting excited about finding out what this new venue is all about." Suffice it to say that she extends a cordial invitation to any and all to "come on down" Nov. 17 and 18, Highland Avenue in the Eau Gallie Arts District.